Sugarcane farmers in nzoia sugar company zone are in jubilation and can now afford to smile all the way to the Bank after the treasury released Sh 579 million for their payment. The debt that nzoia sugar company owes farmers amounts to Sh579 million. More than 17,000 farmers are set to receive their payment that had been delayed for almost one year. 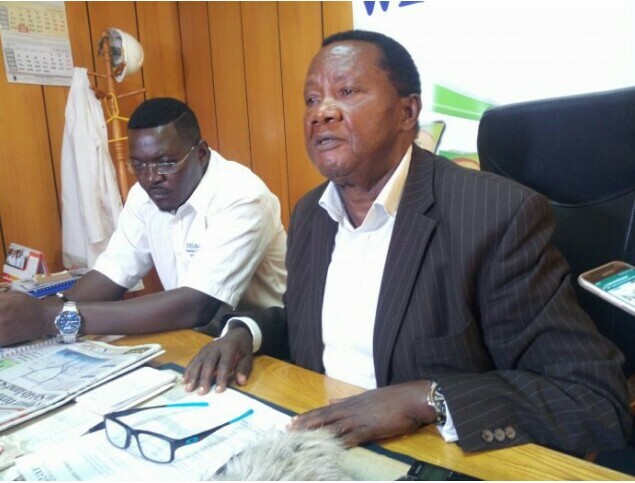 Addressing press on February 5 at the company offices, board of directors chairman Joash Wamang’oli expressed his excitement to the government for releasing funds which he said will reflect in the farmers accounts. “We are happy that the treasury has already released the cash to the ministry of agriculture which in turn will release it to the farmers accounts,” he said. Wamang’oli was a happy man on receiving the news that government had interviewed to help the disputed farmers who had not received payment for cane in the last one year. He praised the government in its efforts to revamp the ailing sugar industry in the country. Nzoia sugar is among public sugar companies that are facing danger of collapsing due to poor management and stiff competition from private firms in the region. President Uhuru Kenyatta had issued a directive to finance cabinet secretary Henry Kosgey to release funds to pay cane farmers. Wamang’oli directed that the money will be paid directly to the farmers account through the Ifmis to avoid inconvenience. Nzoia sugar company pays its farmers Sh3,800 per tonne. The board chair lauded farmers for thier patience and told them to expect money in there accounts in a weeks time.